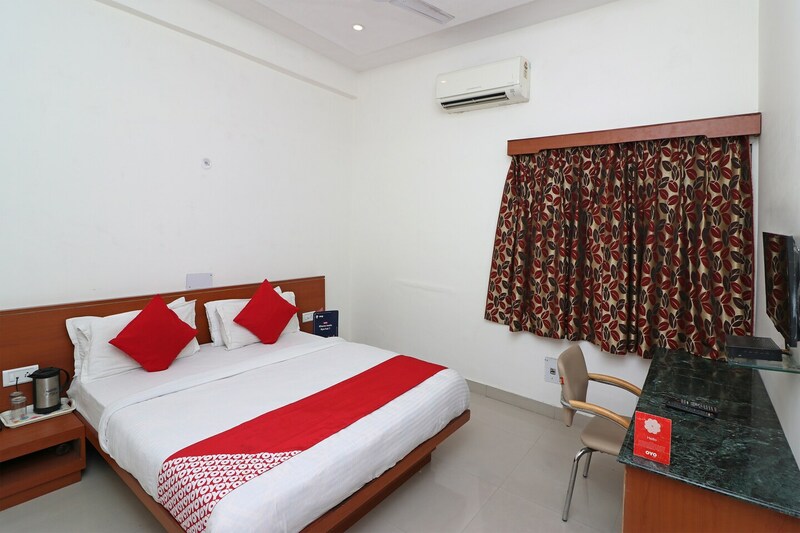 Hotel Uberoi Anand is a budget-friendly and compelling property situated at 46 Civil Lines, Bareilly. The hotel is centrally located and is in close proximity with Bareilly Fort and Tapeshwar Nath Temple. The hotel has an in-house restaurant, a conference hall, a dining area, CCTV cameras, power back facility, and a spacious banquet hall. All room are spacious and offer modern amenities like AC, TV, mini fridge, seating area, study space, wardrobe, electric kettle and free Wi-Fi. As the property is centrally located, you can cover most of the tourist places like Trivatinath Mandir, Bareilly Sports Museum, Shahnoori Masjid, Arya Samaj Mandir and Pashupati Nath mandir by taking an autorickshaw or a cab.